In a press release, a research organization announced that a pioneering FDA-regulated trial had demonstrated that MDMA-assisted therapy shows promise for helping veterans with chronic and treatment-resistant PTSD. The double-blind, placebo-controlled study involved 26 participants and culminated in positive results that were sustained for at least one year after the study finished. The results of the study were published in the peer-reviewed journal The Lancet Psychiatry. “At least one in two PTSD patients cannot tolerate or do not respond adequately to existing treatments, so there is an urgent need for better treatments for the millions of military veterans and others with PTSD,” said Dr. Michael Mithoefer. After just two therapy sessions, researchers found that one month later, 68 percent of the participants reported that their PTSD symptoms had been “effectively eliminated.” One year after this, 67 percent of all patients no longer qualified for a diagnosis of PTSD. This is a huge leap forward, given that the veteran suicide rate in the U.S. still averages 20 deaths per day. Disability payments for PTSD from the Department of Veterans Affairs cost an estimated $17 billion per year for 868,000 veterans. The Department of Veterans Affairs estimates that between 11 percent and 20 percent of Afghanistan and Iraq veterans are struggling with PTSD symptoms at any given time. Not all experts are sold on the results, with Dr. Neil Greenberg calling the studies “interesting” while emphasizing the research study is “small and biased.” He said that further action should not be taken yet, with more research needing to be conducted before anything could be concluded. It is also important to note that one participant did have adverse reactions to the treatment. He had no issues during his first several MDMA treatments, but experienced heart arrhythmia during his final session. He was taken to the hospital, the symptoms stopped, and doctors couldn’t identify anything wrong with him. PTSD therapy involving MDMA is not a case of the drug simply being ingested. Rather, professionals introduce the drug in a controlled environment while walking patients through their feelings to help them confront and move past their trauma. 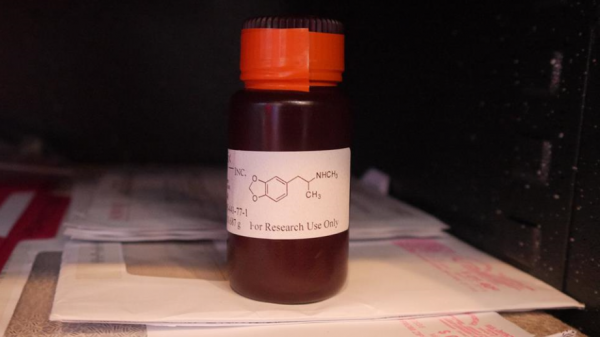 Phase 3 clinical trials of MDMA-assisted psychotherapy for PTSD will begin in the summer of 2018 and will involve up to 300 participants across the U.S., Canada, and Israel. If those trials demonstrate significant efficacy and an acceptable safety profile, FDA approval is expected by the year 2021. MAPS has raised a total of $47 million for psychedelic therapies and is currently only $500,000 short of the $26.7 million required to begin the next stage of clinical trials. Individuals interested in donating can visit MAPS.